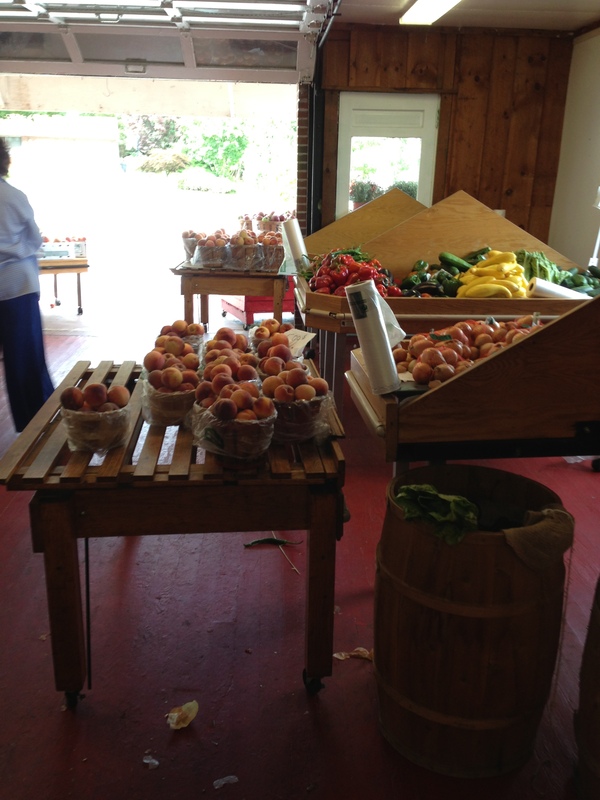 “I like what you’re doing to the place,” I say to the man working at the farm stand. I’m getting a couple of onions and putting in my order for B Grade tomatoes. It’s what I do. Forage, trade, find, and pick food, and then preserve it. I ate the tomatoes I grew so I have nothing to can for the winter. I don’t like the tin-can taste of the stuff from the store. I’ve been coming to this particular farm since I moved to Rhode Island two decades ago. I look around at the decorations. There were no decorations when I started coming here for the local fresh food. Just a shackish outbuilding with a simple old-school butcher shop and produce stand where the farmer sold pies he made that morning, made sandwiches to order, and cut you a nice steak for dinner if you weren’t a vegetarian like me. I snap a quick picture of the artfully arranged bins of local in-season fruits and vegetables. There are now shelves of maple syrup, maple sugar, local honey, and little gift-baskety type things. 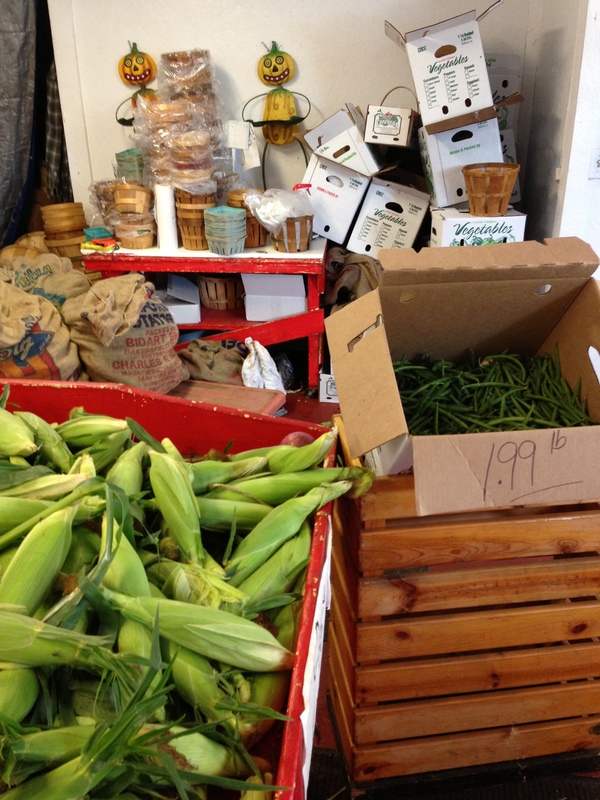 This place is emerging as a New England boutique roadside farm stand. It has all the nuances of a shop that would attract locavores, GMO haters, store avoiders and foodies. There used to be time for a conversation when I came in. Now, I often have to wait in line. It makes me smile, to be honest. I like waiting in line because someone who deserves success has a lot of business in front of him. “Thanks,” he says. “But in ten years, places like this won’t be here. Everyone will shop in billion dollar businesses. I’m not trying to make him feel better about his hard work. I’m simply stating a fact. Food freaks like me who used to live on the periphery are nearly mainstream. I’ve just come from another farm. There were lines out the door for both. Pause. His voice trails off. What he says is the truth. I can’t argue. We’ve built small businesses. I’ve lived this. Between building and fire codes that change a smidgen but cost a ton for no understandable increase in safety, tax regulations that reward big business outsourcing production to underpaid labor elsewhere while ignoring local places with eight or ten employees, and new health insurance regulations, it’s really tough out there. It’s tough to be the little guy, even if you have a product the community loves, the best team in the world, and a business that makes the world a better place. He’s right. I can’t argue. There are no more Mom & Pop drug stores in town. I’ve got nothing to reply, because who wants to say, “You’re right. It’s tough to hang on to the chin-up bar, but I hope we both do,” so I nod, take the onions, and say I’ll return Wednesday for the tomatoes. I really love going to the farm. I’m secretly glad the tomatoes aren’t ready, because I get to go back when it’s slower and have another conversation, not only about produce, but about Yankee ingenuity and life.